Responsible for overall marketing and promotion activities to achieve desired customer satisfaction to meet Company’s and Division’s goals and objectives. Responsible for overall service and engineering department’s operations for FA products (PCL, INV, SV, HMI), to achieve desired customer satisfaction to meet Company’s and Division’s goals and objectives. Set up the Indonesia FA Center function. Provide technical support to key account customer in Indonesia especially Japanese customers. Strategic planning about service and engineering system in Indonesia. Minimum University Graduate (Engineering Major) with 8 to 10 year experience in factory automation field. 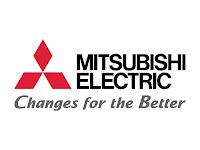 Good knowledge in FA products (inverter, PLC,Servo, HMI etc), especially in Mitsubishi products is a very key point. Responsible for service and engineering department’s operations for LE (Air Conditioning products) to achieve desired customer satisfaction to meet Company’s and Division’s goals and objectives. Perform programs to transfer necessary technical knowledge to partners such as service dealers and consultant. University Graduate (Engineering Major) with 5 to 8 years experience in related field. For detailed information & apply online, please refer apply on following link below. Should you interest please submit your detail CV along with the latest photograph and not later than 1 weeks to Email : recruitment.mein@asia.meap.com. Please provide position code in the subject of email. All applications are appreciated and will be treated confidentially.